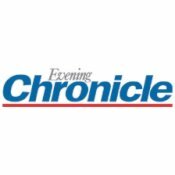 The Evening Chronicle newspaper in conjunction with wonga.com are offering local sports teams a share of £30,000 by collecting tokens from the paper. The tokens are appearing from the 16th July and there will be extra bonus days that we’ll try to keep you posted about on our facebook page. Here’s our article from the Chronicle explaining why we’re taking part! This lot are hoping you will back their girl power wish for our new campaign. The Newcastle Roller Girls are another group who have signed up to our exciting new Chronicle Wish Sport campaign in the hope of securing some extra cash for their club. And they are calling on you to help them land a slice of the £30,000 windfall to help them get to more international games. Wish Sport is something new for this year and is slightly different from our regular Wish campaign as this time we will hand out money exclusively to sports clubs. The cash pot has been provided in partnership with digital finance company Wonga.com to help clubs across the region to get ahead. Clubs winning a share of the cash can spend it on new equipment, subs, building work and facilities – anything to help develop grassroots sport. The key to Wish Sport is collecting tokens once they’re printed in the paper later this month, and those with the most receive the biggest share of the cash prize. And the great thing about Wish Sport is that everyone is a winner. Kerri James, a member of Newcastle Roller Girls, said getting the support of Chronicle readers would mean a lot. “We are really hoping to start playing some more international games, so far we have only really been able to play one and that was in Cork,” she said. “We really hope to set up more. We are all self-funded and it would be good to do some more marketing so we can get even more fans. The girls, who range in age from 18 up to 43, play roller derby, an all female, full contact, fast paced sport played on roller skates. Newcastle Roller Girls, who have around 60 members, have been playing together for four years and train at the Walker Activity Dome. Kerri said she hoped readers would back the relatively new group and added that the girls always liked giving back to the community through their games. “Every game that we have we always pick a local charity to raise money for. We are really big at giving back to the local community,” said the 26-year-old. The deadline for registration is this Thursday and tokens begin to appear on Tuesday, July 16. To register your group go online to chroniclelive.co.uk/wishsport or call Luke Mallinson on 0191 201 6350 for an application form. To help Newcastle Roller Girls post your tokens to 13 Molineux Close, Heaton, Newcastle, NE6 1XN.